The SAT is developed by the College, Board, a non profit organization that provides expansion to higher education. It measures your ability to apply the knowledge and skills you will need in your college and career. The redesigned SAT includes two section scores, the combination of both Reading and Writing and Language, and Math which is derived from the results on the Math section's calculator and no calculator portion. Each of the two section scores will be reported on a scale ranging from 200 to 800, the total score ranges from 400 to 1600. In addition to the total score and the section scores, the redesigned SAT will report three test scores that will range from 10 to 40; these scores will reflect your achievement in Reading, Writing and Language and Math. For some questions, you will consider how the passage may be revised to improve the expression of ideas. For others, you will consider how the passage might be edited to correct errors in sentence structure, usage or punctuation. A passage or a question may be accompanied by either a table or a graph that you will consider as you make revising and editing decisions. Many questions include a No Change option; select that option if you think the best choice is to leave the portion of the passage as it is. The essay gives you an opportunity to show how effectively you can read and comprehend a passage, and write an essay analyzing the same. In your essay, you should demonstrate that you have read the passage carefully, present a clear and logical analysis and use language precisely. 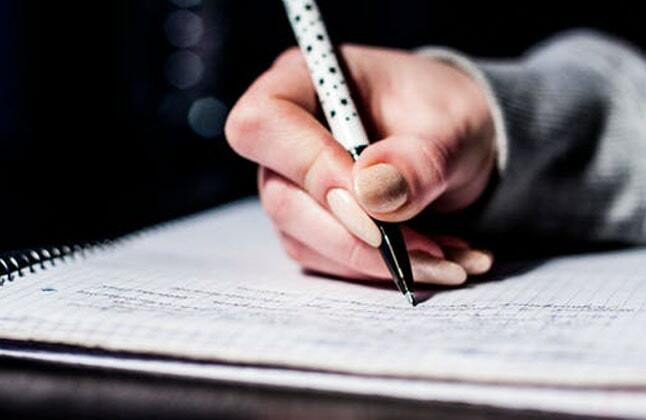 Your essay must be written on the lines provided in your answer booklet. Only what you write on the lined pages of your answer booklet will be evaluated. For questions 1 to 15, select the best option from the choices given, and fill in the corresponding circle on your answer sheet. For questions 16 to 20, solve the given problem and enter your answer in the grid on the answer sheet. For questions 1 to 30, select the best option from the choices given, and fill in the corresponding circle on your answer sheet. For questions 31 to 38, solve the given problem and enter your answer in the grid on the answer sheet.